Come tour this Historical Gem located in the heart of downtown! 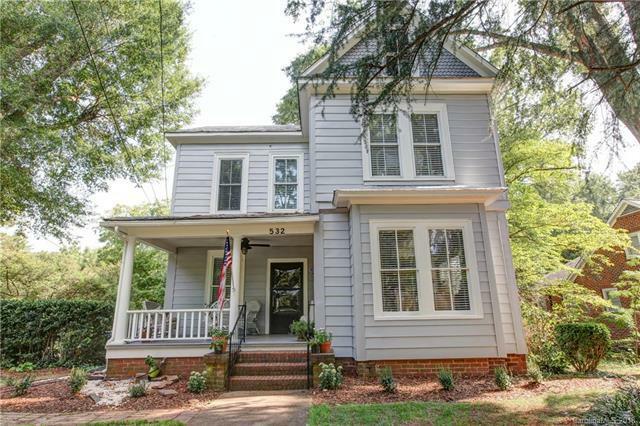 This home has a lot of character with original hardwood floors, 9ft ceilings, built in bookshelves, and gas fireplace. The sellers recently updated and remodeled downstairs bathroom, but preserved the character with the original clawfoot tub. Freshly painted interior and exterior, new roof on the front porch, along with fresh landscaping and brand new gutters. The kitchen has a beautiful oversized farmhouse sink, and stainless steel appliances including a gas stove. The seller's are offering a $500 2-10 Homebuyers warranty.The refrigerator in the basement does not convey.